Vancouver, Canada-based Imagica Technology and Lumiense Photonics close and agreement with Tucson, AZ-based Maxwell-Hiqe (M-H) to be their exclusive global distributor. Both Imagica and Lumiense were founded by Rob Hannebauer, while M-H is led by David Gilblom. Lumiense concentrates on 3-die stacked image sensors, while Imagica licenses Lumiense 2-die stacked architecture. The first Imagica product is a series of line scan sensors designed specifically to replace Sony 14 micron pixel ILX line scan devices discontinued by Sony several years ago. 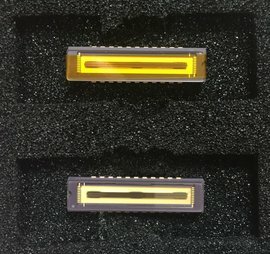 Samples of the first of these sensors, the ITR-511, a replacement for the Sony ILX511B, are now available. 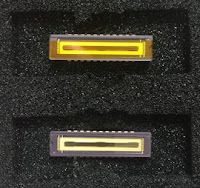 Lumiense has developed a "unique, patented wafer stacking techniques developed by Lumiense Photonics that allow vertical connection through several wafers separately for each photodiode. This allows separation of photon sensing from control, readout and processing with resulting advantages in performance and manufacturability by providing features unique to this architecture." 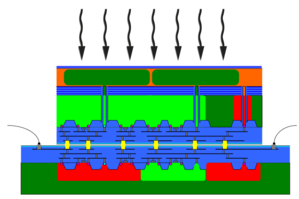 "The basic LP Architecture is a stack of three wafers. The top wafer contains only photodiodes that are made using high-performance scientific photodiode processes. The second wafer contains the circuitry necessary to operate the photodiodes and read out the image signals. These two wafers are thinned and their back surfaces are permanently bonded. Using a special process, the photodiodes are then connected to the circuitry. Before the wafers are bonded, one of them is supplied with a multilayer structure that acts as a reflector to send any light that penetrates the photodiodes back through for a second chance at detection. The surface of the circuitry wafer is provided with bonding bumps so that is can be bonded to the third - mount - wafer. The mount wafer is of normal thickness and can contain CMOS circuitry designed to perform any desired electronic function. Connection to the package is made by ball bonds from the mount wafer." In the Fall of 2018. Imagica will offer its first area sensor built with the Lumiense stacked architecture. This will be a 1/3-inch 1080p, 60 fps, HDR device with 3um pixels and an optional Bayer filter. It will feature a high-extinction global shutter, nearly 100% fill factor without microlenses, low noise, very high full well capacity (and, therefore, high linear dynamic range) and low dark current.